Thousands of Flint’s residents have been exposed to lead and other pollutants in their drinking water. Thousands of Flint’s residents (mainly poor and black) have been exposed to lead and other pollutants in their drinking water. In April 2014, the Government of Michigan -Richard Snyder as governor from the Republican party- switched the main city's water source from the Detroit Water and Sewarage Department (sourced from lake Huron and Detroit river) to Flint River. The main reason was that Flint city terminates its water service contract with the city of Detroit and in order to reduce cost the city had a project to build a new pipeline to deliver water from Lake Huron to Flint. But as the construction of the pipeline delays, the water source switch to the Flint River. A very contaminated river that in the pass was a repository for industrial waste. Since 2014, the corrosive water from the Flint River leached the lead from the old water pipes, mixing in the water supply and producing extremely high levels of lead. According with a scientific analysis in 2015, Flint River water has 10 times more lead compared to the same condition using Detroit water (Edwards et al 2015). Since 2014, Flint River consumption is creating a public health threat, specially for vulnerable populations such as children. On February 2015, a Flint resident contacted the Environmental Protection Agency (EPA) regarding the extremely high levels of lead in her water, the EPA told water personnel that a corrosion program should be in place and in June the same year, EPA confirms “High Lead Levels in Flint, Michigan.” In September, a Doctor from Hurley Hospital finds very high lead levels in children. In order to face the crisis, in 2015, the Governor created the Flint Water Advisory Task Force to review state and in December 14, 2015 Flint declares a state of emergency. 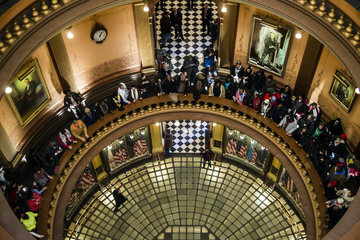 In January 2016 as a form of protest, a crowd of 150 protesters circled through the hallways of the Michigan state capitol, toting jugs of dirty water and calling for action on a drinking water crisis. During 2015 protests and lawsuits against the city were carried out from activists and clergy groups. After the dismission of the cases, in April 2016, 514 residents file class actions. 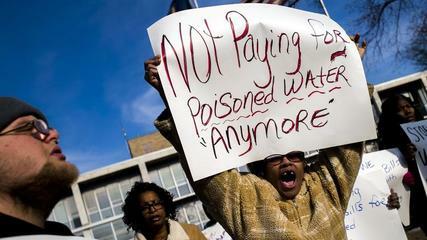 The plaintiffs allege negligence and demand more than $220 million in damages for the EPA's role in the water crisis. The same year, as a environmental justice platform Flint activists announce the formation of a new initiative, the Community Development Organization. Created in response to the water crisis, this organisation assist and share information with those effected by the Flint River water switch. As a temporary action water filters, bottled water and at-home water test kits are being provided to Flint residents. 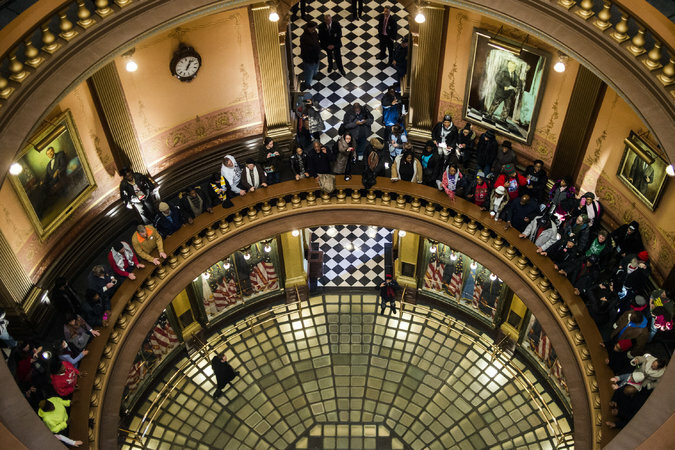 Four government officials, gave up due to their mismanagement of the water crisis, and Snyder issued an apology to citizens while promising money to Flint residents for medical care and infrastructure improvement. The long-term health effects of that poisoning may not be fully understood for years. Other -People got rashes, lost hair and were sickened by the water. Development of Alternatives Michigan Civil Rights Commission demand for the provision of bottled water and filters and the deployment of school nurses, and tending to the special needs of children and the elderly. Why? Explain briefly. 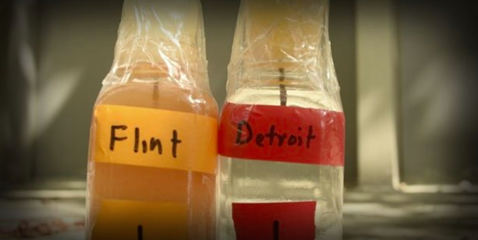 As a temporary action Water filters, bottled water and at-home water test kits are being provided to Flint residents. But, the long-term health effects of that poisoning may not be fully understood for years. Other Comments For civil rights advocates, the health crisis in Flint smacks of what has become known as environmental racism as according to them, environmental decisions are often related to political power.